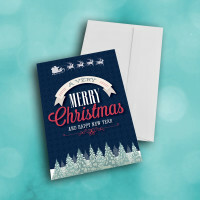 Send a wonderfully artistic Santa Claus Christmas card, sure to be a holiday classic. 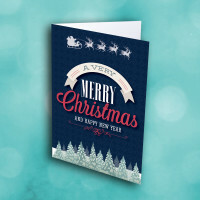 This classic style Christmas card is beautifully detailed and decorated. 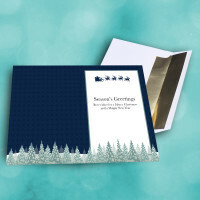 The front is adorned with a decorative greeting, set against a navy-blue, diamond background. 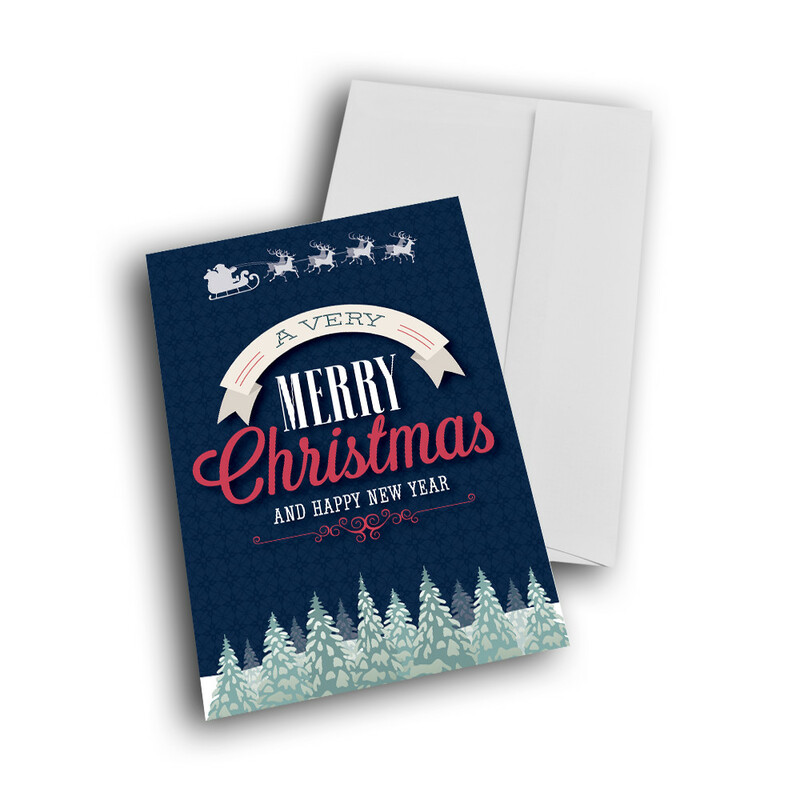 A snowy forest of trees sits underneath, while Santa Claus flys above. 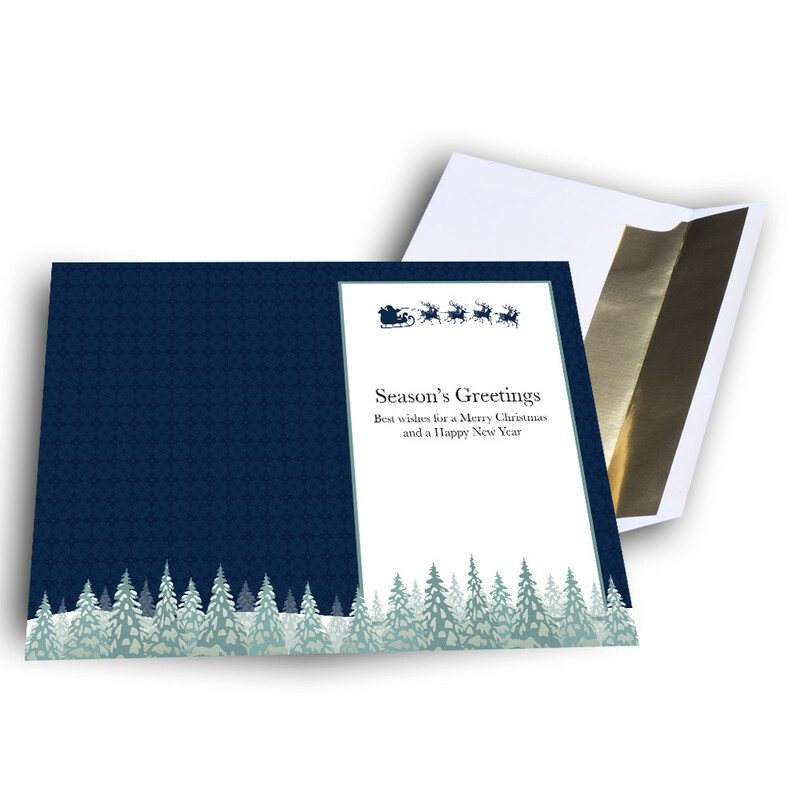 The inside features the same detialed trees and background, as well as a simple message. 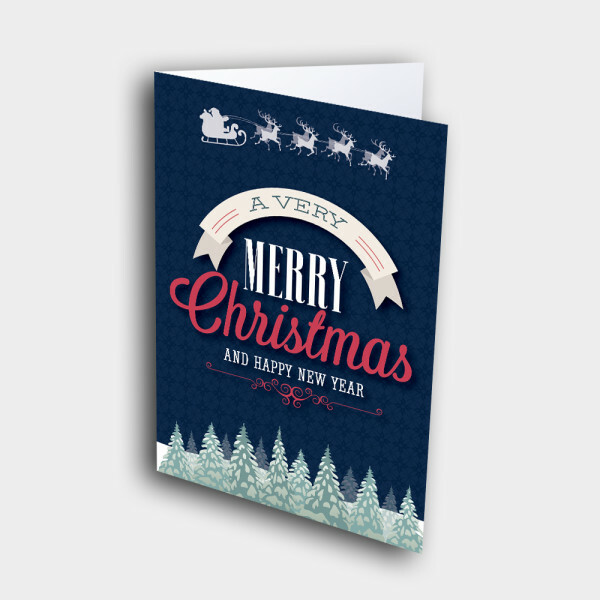 Add personalization to give the card your unique touch.